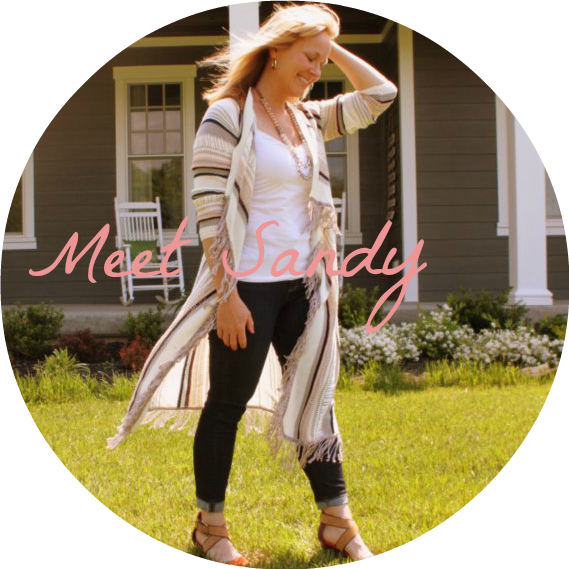 Are you feeling overwhelmed? Frazzled? Exhausted? Do the items on your to-do list out number the hours in your day? Do you struggle to balance your priorities with the countless obligations and expectations vying for your time? Does the idea of life-balance seem so far-fetched that you’re starting to think it’s nothing but a big fat lie? Maybe you’re thinking about balance all wrong. It’s time to release your unrealistic images of balance and embrace your actual, messy, beautiful life. 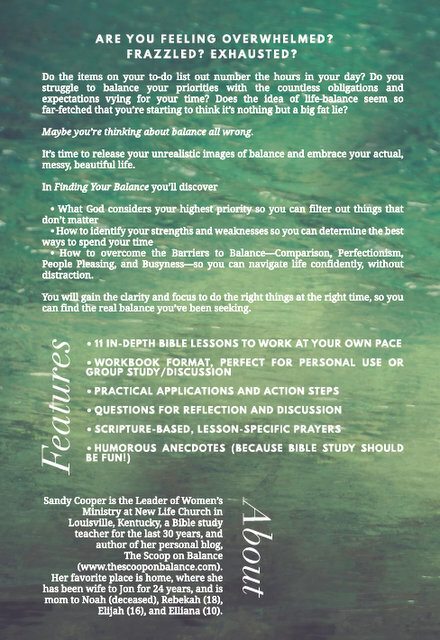 • How to overcome the Barriers to Balance—Comparison, Perfectionism, People Pleasing, and Busyness—so you can navigate life confidently, without distraction. You will gain the clarity and focus to do the right things at the right time, so you can find the real balance you’ve been seeking. 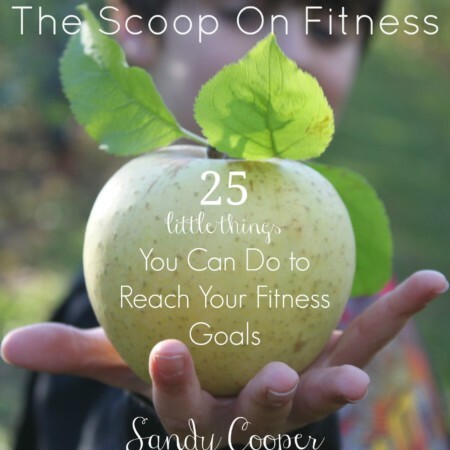 This is a PDF version of the 236 page book and will be immediately available for one download after your payment. 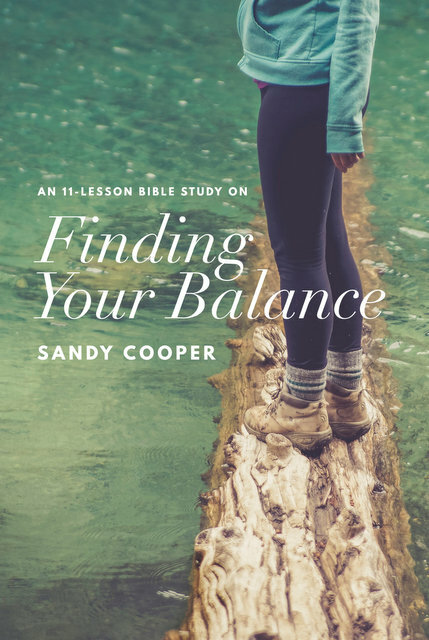 If you’d prefer a paperback copy of this book you can purchase it on Amazon for $14.99 Don’t forget to join the Finding Your Balance Facebook Community!